If you are here, then you should know that you are already different from the crowd. Less than 2% of Indian population actually looks to understand about Share Market and its related concepts before they start investing their hard earned capital. Most of the traders and investors choose to jump into the share market space and start trading without much of a knowledge about the basics and fundamentals. So if you are someone who is new, make sure before you start trading – learn how to invest in share market first! Share Market – is a specific kind of market where shares are bought and sold by different individuals, institutions and corporations. These shares belong to different companies that are listed on different exchanges in the share market. Oh, wait! Are we getting ahead of ourselves? Let’s take a step back and understand different kinds of market participants to understand what we just meant at the top. Like the Banking space is regulated by RBI (Reserve Bank of India) in our country, on similar lines, the Indian Share market is regulated by SEBI or Securities and Exchange Board of India. The primary operation of this regulatory body is to provide a conducive and protective environment to share market investors while promoting and developing the overall share market among potential investors. SEBI was established in the year 1992 as per the SEBI act 1992 that was set-up to keep it aligned under the legal jurisdiction. It is headquartered in Mumbai along with a presence in some of the other metro cities of India. Ajay Tyagi is the current chairman of SEBI. NSE or National Stock Exchange is the biggest exchange in India. 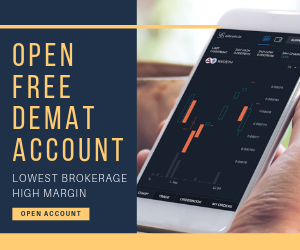 It was incorporated in the year 1992 and in fact, was the first exchange in India that provided screen-based electronic trading without the use of physical shares. In total 1696 companies are listed on NSE however, the top 50 companies are majorly used for trading and order placement. The index NIFTY 50 is one of the most prominent indices under NSE. The monetary size of NSE is close to $1.5 Trillion dollars which makes NSE among the top 10 exchanges in the world. If you are looking to invest in NSE listed companies, then apart from equity trading, you can trade in other segments such as Commodity, Currency, Derivatives etc. Quick Fact: NSE processes 500 Million+ messages every day and claims to have an uptime of 99.99%. 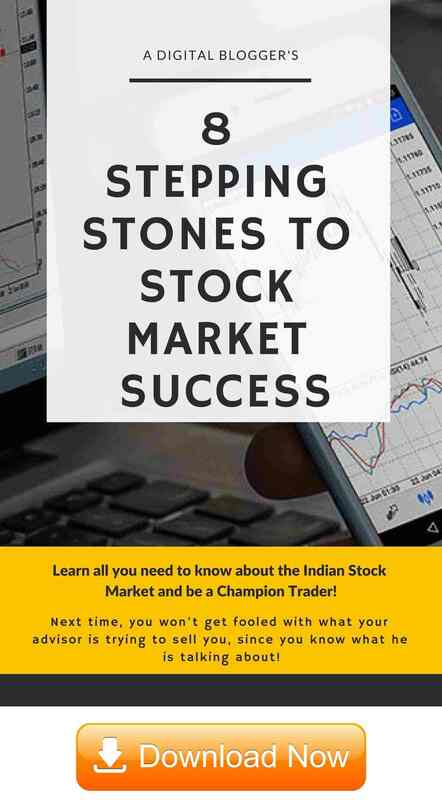 BSE or Bombay Stock Exchange is one of the oldest stock exchanges in the world and in fact, is the first Asian Stock Exchange. It was launched back in the year 1855 and was finally recognized by the Government of India in 1957. In total, this exchange has 5749 companies listed and traders trade on this exchange in these listed companies. Out of these 5000+ listed companies, the Sensex index is used as a component that indicates the momentum of the market. Sensex uses 30 out of the total listed companies for this monitoring. The total market cap of BSE is ₹175+ Lakh Crore. Quick Fact: BSE claims to be the fastest exchange in the world with a median speed of trading of 6 microseconds. MCX or Multi Commodity Exchange of India Limited, as the name suggests, is an independent commodity derivative based exchange. It has its headquarters in Mumbai and was established in 2003. However, it came under the regulations of SEBI as recent as September 2015. The turnover of this exchange was recorded at around ₹13 Trillion in 2017, making it one of the largest commodity exchanges in the world. There are several commodity types offered by this exchange include Metal, Energy, Bullion, Agro commodities with further segregations ahead. Quick Fact: MCX is India’s first publicly listed exchange. NCDEX or National Commodity & Derivatives Exchange Limited is a relatively small exchange and like MCX, it is a commodity based stock exchange. This exchange was established back in the year 2003 and has around 900 registered members with 25 lakhs+ client base. NCDEX has a presence in 7 metro cities of the country including Delhi, Mumbai, Hyderabad, Kolkata etc. If you are looking for a stockbroker that is a member of NCDEX, then you can trade in both agri and non-agri based commodities. Like mentioned above, each of the exchanges is constituted with 1000s of listed companies. Obviously, it is next to impossible to track all these companies in one go to get an idea about the market momentum. That is why there are different indices in the share market under different exchanges that help investors and traders understanding the direction in which the market is moving. For instance, there are indices namely Sensex and Nifty. Each of these indices is made up from the summation of the current market price of a few companies (with specific weight to different types of companies). These companies come from different sectors and domains to make sure there is no inclination towards a particular company or business sector. Filtering relevant companies that can make or break the momentum, rather than tracking all companies. Indices act as market benchmarks. In other words, if you beat the returns provided by the index at an overall level, then you are going pretty well and vice versa. Indices help to understand the trader’s sentiment as objectively as possible. Some of the indices in the Indian Share market are Sensex, Nifty 50, Nifty BSE Bankex, BSE Smallcap, BSE Energy etc. When a company that is not listed in any of the exchange and is looking to go public and raise funds, they come up with an IPO (Initial Public Offering). With an IPO, a company gets funding from generic investors like you and me while the investors get a specific stake in the company in return. This share allocation through an IPO is done in the Primary Market. On the other hand, when we talk about generic trading in the share market where traders buy and sell stocks to each other, that kind of market is the Secondary share market. The price of the shares of the listed companies is controlled in the secondary market. For example, if you bought 100 shares of Infosys on Tuesday, 1st March 2005 as a delivery trade. Then, there is a T+2 settlement cycle that you need to consider while placing that trade. It basically implies that the shares you have purchased will be reflected in your demat account after 2 business days i.e. 3rd March 2005 (assuming there are no stock market holidays between the dates). There was a time when these difference of dates was T+5 but with advancement in technologies and corrections in operational processes, it is now maintained at T+2 days (hoping it gets even quicker going forward). Remember, you need to be wary of these settlement cycles if you are placing an order type that requires you to actually own a share and then get it credited to your demat account. 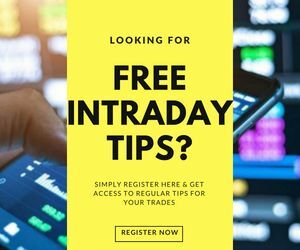 For instance, if you are placing an intraday based trade and you are going to square off/exit your position by the end of the day, in that case – there will not be any settlement happening. As far as trading hours are concerned, there is a variance depending on the exchange considered. For instance, for BSE or Bombay Stock Exchange, the trading hours are between 9:15 am to 3:39 pm every business day while NSE operates in the timeline between 9:15 am to 3:30 pm. Another important aspect of the Share Market is understanding the trend of the market. In other words, whether the market is moving in a positive/upward direction or is going down towards a slope. Although, the direction depends on multiple internal and external factors including micro and macroeconomics, industry news, corporate movements and so on. When the market is moving in a positive direction or is at an uptrend, then it is called a bull market or generally, we say that the market is bullish. Similarly, if the stock market is going towards a downtrend, then the market is termed as bearish. This is just a way the market momentum is looked at and is sort of small talk in the stock market ecosystem. Well, that wraps our piece on the Stock Market with different aspects related to its functioning.